The terms and conditions set out here under apply to any contract between us for the sle of products to you (the"Contract") which are specifically for the products or services in relation to the company, JustShop.ie website, mobile application or mobile or fixed device. The General Terms apply to the use of the website provided by JustShop.ie and any services or products provided through the web JustShop.ie website (for the avoidance of doubt services and products available on other websites which are accessed from the website JustShop.ie site are not, for the purposes of these General Terms, provided through the JustShop.ie website). You must be over eighteen years of age to purchase goods from the JustShop.ie website. For the avoidance of doubt, please note that references to "Website" in these terms include any current, or future version of the website or mobile application through which you access the website catalogue or content, in each case whether accessed through any current platform or device(including without limitation any mobile website, mobile application, affiliate website or related website for accessing the website and/or catalogue/content that may be developed from time to time? You should understand that by ordering products from our website, or the company (whether now or in the future) you agree to be bound by these terms. Products sold on this website are for personal use and not for resale. The use of the website is also subject to these terms, if you do not agree to the conditions as set out by the company it is advised that you leave the website immediately. Couriers may change their cost prices with short notice. This will effect our pricing but we will notify you as early as possible in this regard. It is our policy to dispatch your order within 5 working days on the island of Ireland. Please allow 5 workings days after the dispatch date for products shipped direct from mainland Europe. Whenever possible we'll dispatch orders next day subject to stock levels in Ireland. Our customers are notified via email, or phone, as to the exact delivery day, and of any delays that may occur during the processing period. Our deliveries carried out Monday to Friday, any time between 8.00am and 6.00pm. All deliveries are dispatched, and received within normal business hours. All deliveries are insured and traceable. We cannot provide a specific delivery time to our customers, as it is solely dependent on the daily schedule of the independent carriers. Once the order is dispatched the logistics are outside the control of the company. Please Note: The company is not responsible for any logistical delay via third party carriers. Free Delivery* on all products,and items weighing under 32kg. This Free Delivery policy is only open to shipping addresses on the island of Ireland. A 10 euro fee is charged on products, and items exceeding the 32kg weight restriction. This fee grows in increments on all orders exceeding the 32kg thereafter. Online Fraud & Proof of Identity: In our quest to tackle online fraud, JustShop.ie may request proof of identity prior to, or on delivery of the order, for all electronic products. It must be an up to date Irish held passport, or an up to date Irish driving licence. We can also request the customer to supply a utility bill, dated within the last three months, which must include the persons name and shipping address contained within the online order. JustShop.ie reserve the right to retain the goods, and issue a full refund within seven working days, less the credit card, or bank transfer fee of 2%, if proof of identity is deemed invalid, or is not forthcoming. All wholesale purchases coming from outside of the Republic of Ireland are exempt from the vat rate of 23%. Please Note: If you are purchasing from outside of the state, we do require a valid vat registration number from your country of residence within the E.U community. JustShop must be notified of all returns within 24 hours of receiving the product(s). No returns for credit will be issued without prior authorisation. All goods must be returned to JustShop within 7 working days of the purchase date. The goods must be returned in the original packaging and re-saleable condition as it/they were dispatched from the warehouse. Once the goods have been received, and are deemed to meet our returns policy , as stated in the customers forwarded statement, a replacement of the same/similar product, or a refund of the original order value, a credit note, will be issued within 7 working days thereafter. All returned goods may be subject to a restocking charge. The customer is solely responsible for the return carriage fee. The cost of the return carriage is non refundable unless, we have shipped the incorrect order, or the product is deemed faulty. Where orders have to be returned as a result of an exchange or a change of mind, the shipping fee will be payable by the customer at their cost. Please note that we will not accept any returns back after 7 days. We do not accept any opened blister packs. It's the customer responsibility and risk to ensure that all parcels are packaged and returned via a traceable courier, or postal agent. The company can not be held responsible under any circumstances for any returned parcels lost or damaged in transit which is returned by a customer. These conditions do not affect your statutory rights. All orders received must be checked, and inspected in the presence of the carrier/courier. Please make sure the order is correct and no damage has occurred while in transit. If the package appears to be damaged in anyway, insist on writing a note on the carriers delivery consignment docket or screen. 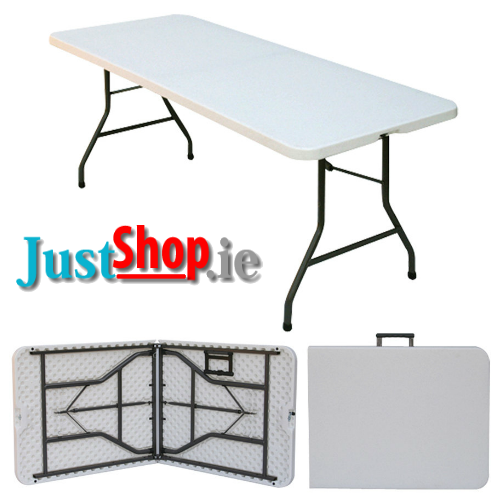 All/Any damaged goods must be reported to JustShop.ie within 48hrs of receiving the order. Our carriers demand that all damaged goods must reported to them within 48hrs of delivery. It is solely the customers responsibility to inspect all goods at the time of delivery and report any damage to the courier and the courier company. As we are obliged to deal with all reported transit damage, we ask our customers to deal promptly with any issues on receipt of goods. Should you notice any damage to the received goods, it is very important and advised to contact the courier company and JustShop.ie immediately. Remenber to photograph the damaged goods preferably with or within the original packaging and email the images and relevant information to info@justshop.ie. All damaged goods must be returned with the original packaging/labels. All returning goods deemed damaged will be inspected and accessed by JustShop.ie. Once it's been established and satisfactorily deemed that the product(s) are damaged and based on a customer report(s), which will also include photograpic and written evidence. On agreement between the customer and the company, a like for like or similar priced product replacement will be issued at the earliest convenience. Alternatively a credit note or a full refund for the original purchase price will be issued within 7 working days from the date the returning goods are received. A reverse pick-up fee and new dispatch fee may charged on all orders not reported within a 48 hour period of receiving the delivery. The customer may liable for a 15% handling, and re-stocking charge on all returned goods after the 48 hour period has ended. There is a cooling off period of 14 days during which time you have the right to cancel the order. The customer must provide notice of cancellation via email to info@justshop.ie or by telephone, no later than 7 days after receipt of goods. If the goods have yet to be dispatched then a full refund will be issued within 7 working days from the notice of cancellation date. However, if we receive a notice of cancellation after the goods have been dispatched, the customer is liable and responsible for the carriage cost of shipping the returning goods. Please Note: The returning product(s) must be unopened, in it's original condition and packaging, including all accompanying manuals/accessories and in a re-saleable condition as it was when it left the warehouse. We reserve the right to refuse returns or to charge you for our reasonable cost if the product is received otherwise than in accordance with these requirements. All goods must be returned to JustShop within 7 days of the notice of cancellation date. Once the goods have been received to the depot, inspected and meet with our returns policy criteria. JustShop will then offer you a replacement/similar product, a refund of the original order value or a credit note, which will be issued within 7 working days of the certified return date. It is the customers responsibility to ensure that all returning good are suitably protected with protective packaging and dispatched via a traceable courier or postal agent. We will not be held responsible for any loss or damage to returning goods/parcels while in transit. No returns for credit will be issued without prior authorisation. The company guarantee that all the goods and products supplied will correspond to the correct specification as advertised and will be free from defects in materials and workmanship as specified by the artist, manufacturer, wholesaler, sole agent, or retailer. However, we are unable to guarantee precise compatibility, or suitability. It is the responsibility of the online/offline customer to check that the goods/products suit their requirements prior to ordering. We provide information on the website on an "as is" basis and make no representation and give no warranty of any kind. Although we make every effort to ensure that it is accurate, complete and up to date we do not warrant that the information, or content is accurate, complete, or current. We warranty and represent that the goods are as described in the Product Listing. We specifically disclaim any implied warranties of title, merchantability, fitness for a particular purpose and non-infringement. Customers should satisfy themselves that their purchase choice is suitable for the intended purpose prior to purchase. However, if you are unfortunate enough to have purchased an item that is damaged, or defective we may offer a repair, exchange, or a refund according to the nature of the damage, or flaw. All reports of damaged/flawed should be sent by email to info@justshop.ie or by telephone. We will then arrange for the collection of the goods. The goods must be in it's original packaging, including all manuals and accessories, along with a purchase order number or receipt. All goods must be suitably packaged and secured for transit. On receipt of the returning goods, it will be inspected. Should the fault, or flaw be found or deemed to be a non-manufacturing flaw, we reserve the right to refuse returns or to charge you for our reasonable cost if the product is received otherwise than in accordance with these requirements. JustShop.ie will not accept any liability for down time, or consequential loss due to damaged, or flawed items. 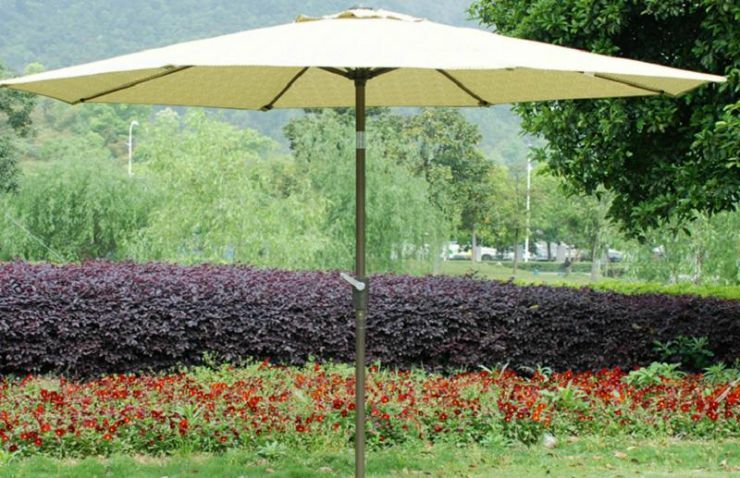 (Outdoor Furniture, Awnings, Parasols, Gazebos and Pavilions) The company is not responsible for adverse weather conditions which includes (wind, rain, hail, snow, or flooding and under any circumstances is the company responsible for the incorrect assembly of goods, how/when they are used or how they are stored by the customer with respect to outdoor furniture, including awnings, parasols, gazebos and pavilions. Therefore the items listed are not warranted after 14 working days from the delivery date (unless they are unused, in their original packaging and in a re-saleable condition). We reserve the right to refuse returns or to charge you for our reasonable cost if the product is received otherwise than in accordabnce with these requirements. The customer is responsible for the returning goods. It is advised that all products received from JustShop.ie must be checked by yourself when the carrier is present. 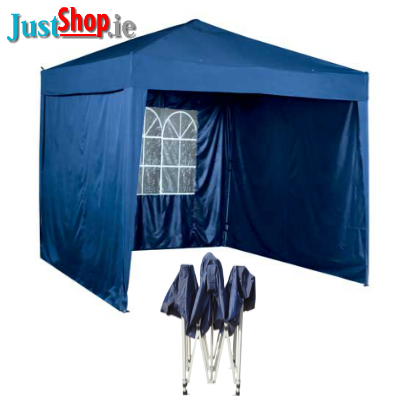 All damaged parasols, and gazebos must be reported to JustShop.ie via email within 24hrs of delivery. When a damaged product is reported within the agreed time scale, we may offer a repair, exchange, or gift voucher. All goods must be returned to us for inspection within the agreed time frame of 5 working days, in it's original packaging and in resalable condition. It's the customer responsibility and risk to ensure that all parcels are in protective packaging and returned via a traceable courier, or postal agent. The company can not be held responsible under any circumstances for any returned parcels lost or damaged in transit which is returned by a customer. Please note that after inspection should the fault be found not to be a manufacturing /flawfault, JustShop.ie will charge for the collection/delivery cost and an automatic €20.00 service inspection charge will apply. No representative of ours has any authority to waive or change this provision, which applies to all sales of the items set out above. We endeavour to keep sufficient stock levels to meet orders placed with us, however if we do not have the stock to supply or cannot deliver the goods paid for by you, we will at our discretion deliver a substitute product or refund you the price paid for the said goods within 7 working days unless agreed with you otherwise. Whilst every effort will be made to comply with any quoted dates given for delivery, JustShop.ie shall not be liable for any loss or damage caused by delay or failure in obtaining goods from the company’s own suppliers or delays effecting carriers or any loss or damage caused by acts of God, government actions, war or national emergency, acts of terrorism, protests, riot civil commotion, fir, explosion, flood, epidemic, strikes, lockouts, trade disputes, transport delays, shortages of material, breakdowns, fire, accidents and/or any causes whatsoever beyond the reasonable control of the company. Such delay shall not constitute a breach or repudiation of the contract. We will maintain the confidentiality of your personal identity information. It will be used only to support your customer relationship with JustShop.ie and our partners. Whilst every effort has been made to ensure the accuracy of the technical information given on this website, no liability is given or implied for any error or omission contained herein. The company reserve the right to take down or withdraw the services of the website at any time for maintenance or any other purpose. Due to our policy of progressive improvement the company reserve the right to revise, or amend these terms at any time. We also reserve the right not to provide notice to changes of conditions, products, content, technology, payment methods, relevant laws, regulatory requirements, our system capabilities, or specifications. Please keep yourself informed of future changes prior to using the website. The product(s) will be at the customers, or third parties risk on receipt of delivery. All invoice recipients, including online customers, offline customer(s), third party recipients of products ordered by customers and direct purchaser(s) of products, indemnify the company and JustShop.ie for any hurt, loss, damages, or personal injury that may arise in relation to any/all product(s) purchased on the JustShop.ie website, or directly through the company. As a user and customer of the website you agree to all of the conditions attached as set out. If you don not agree to the conditions set out by the company, it is advised that you leave the JustShop.ie website immediately. 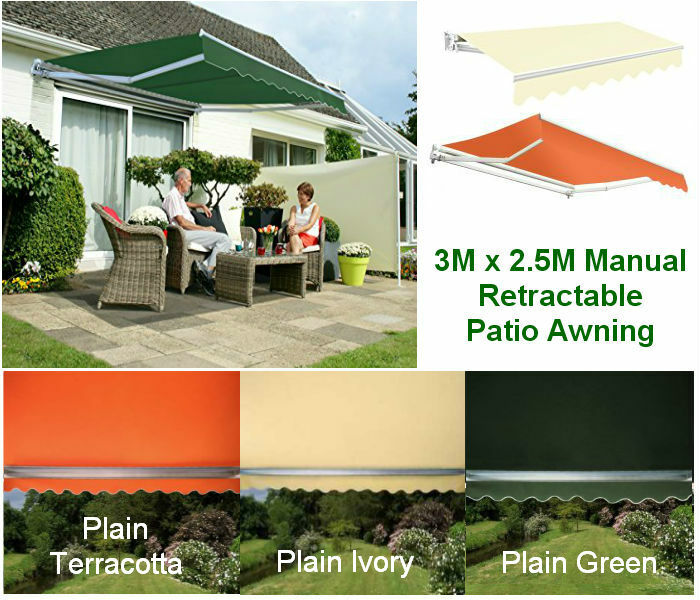 Unless stated otherwise, any tools, accessories, toys, garden furniture, equipment etc. are shown for photographic purposes only. 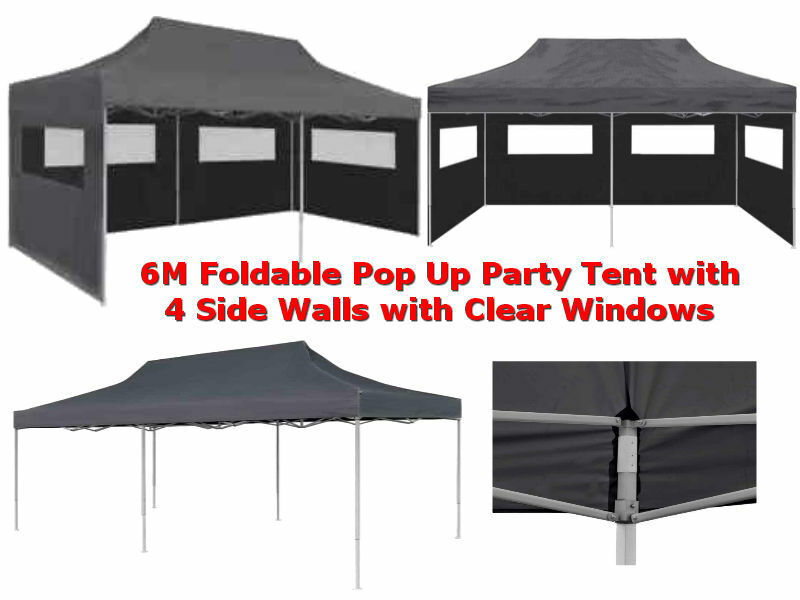 All products are delivered sectional/flat-packed to the cardholders registered Irish address (kerbside only) unless specific alternative arrangements have been made. If installation has been requested, please ensure that there is unhindered access for large panels, and that a suitable site is prepared. If delivery to an alternative address is required, additional security checks may be made, and your delivery may be delayed. Delivery times and sizes given are approximate and are intended only as a guide, and you should contact us prior to purchase if you have specific requirements. Specially ordered items, and items delivered direct by the manufacturer from overseas cannot be cancelled or returned under any circumstances. Manufacturers can name their products using approximate dimension as an indication of size, however a more precise dimension will be shown in the product description. Please check carefully before ordering, and note that manufacturers allow a tolerance of +/- 1.5mm when machining timbers, therefore we cannot be exact when quoting sizes. Images shown may not accurately represent the finish of the products ordered, and may be shown decorated for photographic purposes only. *Some deliveries may be subject to a surcharge if the product is over 30kg and if you are in an area not covered by our free shipping policy. Each right or remedy of the Company under these conditions is without prejudice to any other right or remedy of the Company whether under such contract or not. If any provision of these conditions is found by any court, tribunal or administrative body of competent jurisdiction to be wholly or partly illegal, invalid, void, voidable, unenforceable or unreasonable it shall to the extent of such illegality, invalidity, voidness, voidability, unenforceability or unreasonableness be deemed severable and the remaining provisions of these conditions and the remainder of such provision shall continue in full force and effect. Failure or delay by the Company in enforcing or partially enforcing any provision of these conditions shall not be construed as a waiver of any of its rights under these conditions. Any waiver by the Company of any breach of, or any default under, any provision of these conditions any contract between the Company and the Buyer for the sale and purchase of the Goods by the Buyer shall not be deemed a waiver of any subsequent breach or default and shall in no way affect the other terms of these conditions. The formation, existence, construction, performance, validity and all aspects of these conditions shall be governed by Irish law and the parties submit to the exclusive jurisdiction of the Irish courts. Headings to any of these conditions are included to facilitate reference only and shall not affect the construction thereof. Except as might otherwise be provided in any Specific Terms, these General Terms are governed by and shall be construed in accordance with the laws of the Republic of Ireland, and the parties irrevocably submit, for the exclusive benefit of JustShop.ie to the jurisdiction of the Irish courts. The terms and conditions set out here under are specifically for artists, sole traders, and companies who supply a product, or products for sale to our customers online via the JustShop.ie Marketplace website and also covers all offline sales direct from a supplier. The above mentioned individuals and companies will be defined as “product supplier” and JustShop.ie Marketplace l be defined as the “company” in the conditions set out below. The “Selling With Us” apply to the products submitted by product suppliers for the intention of sales through the JustShop.ie website and offline sales from product suppliers. (for the avoidance of doubt services and products available on other websites which are accessed from the website JustShop.ie site are not, for the purposes of these General Terms, provided through the JustShop.ie website). You must be over eighteen years of age to supply products and services to the JustShop.ie Marketplace. On submitting a product for sale, the product suppliers price must include the following information. - The final R.R.P will be agreed between the company and the product supplier(s), prior to the product going live on the JustShop Marketplace. - On confirmation the customer receives the order payment will be made to the product supplier(s) for the order dispatched within two working days through credit card, bank transfer, cheque, or PayPal. Couriers may change their cost prices with short notice. This will effect our pricing but we will notify all the product suppliers as early as possible in this regard. - As you are aware, all products on the JustShop Marketplace include Free Delivery on all products up to 30kg in weight. - The company will cover the logistics for all orders from the product suppliers to the customers shipping address..
- Our customers are notified via email, or phone, as to the exact delivery day and of any delays that may occur during the processing period. - Deliveries carried out Monday to Friday, any time between 8.00am and 6.00pm. - All deliveries are dispatched, and received within normal business hours (as above). - All deliveries are insured and traceable through a number of reputable couriers and logistic companies. - All product suppliers shall be notified by the company through email and issued with the order/customer details. - It is expected from our product suppliers that all orders be made ready for collection and dispatched from the product suppliers home, office, or depot within 24hrs. - It is our policy to dispatch customer order within 5 working days on the island of Ireland. Whenever possible we'll dispatch orders next day subject to product suppliers stock levels. It is the responsibility of the product suppliers to inform the company of your stock levels on a regular basis. This enables us to eliminate the unnecessary task of having to refund a customer due to products suppliers low, or no stock levels. The company operate a standard return policy with all our customers. All product suppliers must have a returns policy in place, along with liability insurancein order to manage with damaged, flawed goods, unforseen liabilities or any personal injuries that may arise due to a flaw in the product supplied. The following terms cover all reported cases of damaged, or flawed goods. All goods must be returned to JustShop within 7 working days of the purchase date. We do request photographic evidence prior to the reverse pick-up by the courier. The goods must be in the original packaging, and in new condition as from when they left the warehouse. Once the goods have been received, and are deemed to meet our returns policy, as stated in the customers forwarded statement, a replacement of the same/similar product, or a refund of the original order value, a credit note, will be issued within 7 working days thereafter. The customer is solely responsible for the return carriage fee. The cost of the return carriage is non refundable unless, we have shipped the incorrect order, or the product is deemed faulty. Where orders have to be returned as a result of an exchange or a change of mind, the shipping fee will be payable by the customer at their cost. Please note that we will not accept any returns back after 7 days. We do not accept any opened blister packs. These conditions do not affect your statutory rights. It's the responsibility of the sender to ensure that all parcels are packaged and returned via a traceable courier, or postal agent. We can not be held responsible for any returned parcels lost, or damaged in transit. - The damaged/flawed goods will be returned directly to the product suppliers premises for inspection. - If it established the damage was caused by the courier, an insurance claim is filed against the carrier for the wholesale value of the product. From experience, they do not cover the full retail value. Once the credit note is received from the carrier, a payment for the damaged/flawed goods will be paid to the product supplier by the company. The product supplier must inform the company of all warranties associated with the product(s) that are being posted onto the JustShop Marketplace. Please be aware that JustShop Marketplace must receive three months notice in writing prior to the withdrawl of all/any product(s) from the marketplace by a product supplier(s). This allows the company adequate and sufficent time to source a new supplier with the same or similar product for the marketplace. All fees paid for product placement is non-refundable after a fourtenn day cooling off period. Whilst every effort will be made to comply with any quoted dates given for delivery, JustShop.ie shall not be liable for any loss or damage caused by delay or failure in obtaining goods from the company’s own suppliers, or any loss or damage caused in transit, by strikes, lockouts, trade disputes, transport delays, shortages of material, breakdowns, fire, accidents and/or any causes whatsoever beyond the company’s control. Such delay shall not constitute a breach or repudiation of the contract. Whilst every effort has been made to ensure the accuracy of the technical information given on this web site, no liability is given or implied for any error or omission contained herein. The company reserve the right to take down or withdraw the services of the website at any time for maintenance or any other purpose. Due to our policy of progressive improvement the company also reserve the right to change conditions, products, content and/or specifications without prior notice. Please keep yourself informed of future changes prior to using the website. All product suppliers indemnify JustShop Marketplace and the company from any hurt, loss, damages, personal injury or litigation from a customer that may arise in relation to any/all product(s) purchased on the JustShop.ie Marketplace, or directly through the company. As a product supplier you agree to all of the conditions attached and set out. If you don not agree to the conditions set out by the company, it is advised to leave the JustShop.ie Marketplace immediately. Offer open to Republic of Ireland residents only. The winning prize will be only shipped to a phyiscal address on the island of Ireland.The promoter’s (JustShop) employees and those of any of its associated companies, employees of any agencies connected with this promotion and the owners and employees of participating outlets/premises will not be eligible to enter this promotion. Competition open to over 18’s only (proof of age may be required). To enter, entrants must Like the [justshopnow] Facebook page, complete the official entry form located at http://www.facebook.com/justshopnow with your name, country and email address, you must accept these terms and conditions and submit the entry form as directed. No other means of entry is available or can be offered. The competition opens at 00.00am midnight on Thursday 21th March 2013 and will close at 11.59pm Sunday on 2nd May 2013. Entry received after the closing time will be judged invalid. The promoter does not accept any responsibility for late or lost entries due to delays or malfunction of the internet; misdirected entries; any problems, delays or technical malfunctions of any telephone, broadband or other network or of lines, computer online systems, servers, computers, or other equipment or software; failure of any entry to be received; or any damage to the entrant’s or any other person’s computer, other equipment or software resulting from participation in the competition. There is one prize to be won. The type of prize and winner will be announced on our Facebook page wall located at http://www.facebook.com/justshopnow on the 4th of May 2013. The winners will be contacted by means of email between 3rd & 4th of May 2013. If the winners cannot be contacted by email, they will be contacted via Facebook of their prize. The winners must reply to this email with the word ‘CLAIM’ and a valid postal address within 24 hours of receipt to claim their prize or that entry will be deemed invalid. Prizes will be sent to each winner by standard post to the address provided before the 4th of June 2013. If a winning entry is deemed invalid or disqualified, or the entrant refuses the prize, the promoter may, in its sole discretion, choose whether to award the prize to another entrant and if so that prize will be awarded to a valid entry selected at random. This re-selection process may be repeated until the prize is awarded, at the promoter’s sole discretion. No cash alternative is available and the prizes are non-transferable. The promoter expressly reserves the sole discretion and right to alter the eligibility or other entry rules, judging criteria/process and/or timelines in such a manner as it sees fit at any time including, without limitation, the right to extend the entry deadlines. At any time notice of such alterations will appear on the [justshopnow] Facebook page. The participant’s personal data will only be held for the purpose of selecting the winner and will not be used for any other purposes whatsoever without their prior permission. The promoter reserves the right to withdraw or amend this promotion in the event of unforeseen circumstances outside its reasonable control. By entering this competition, all participants will be deemed to have accepted and be bound by the terms and conditions and by any other requirement set out in the promotional material. No correspondence will be entered in relation to any dispute arising out of this promotion or its termination or cancellation. These terms & conditions shall be governed by and construed in accordance with Irish law and subject to the exclusive jurisdiction of the Courts of Ireland.